With the arrival of nobility in the village, the troglodyte chapel grew. 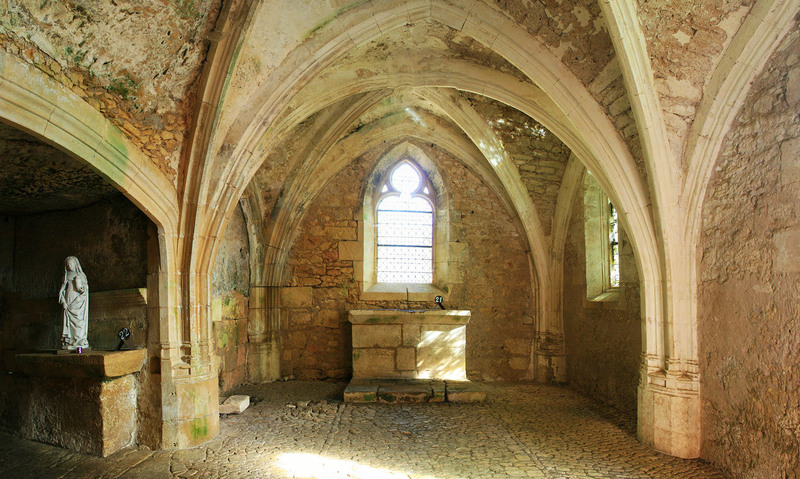 From its Roman base a second Gothic chapel was built. The Gothic arches illustrate it perfectly. Two Roman alters, in perfect condition were built to face the rising sun. The restored windows bathe the interior in strong light. The walls were covered in friezes and sacred frescos. Today the only illustration left is the mysterious ‘cadran solaire’ (sundial). It is believed to be a sundial because of its position.